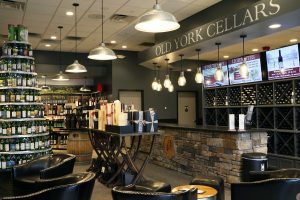 Old York Cellars lands in Lawrence’s Quaker Bridge Mall on Jan. 26. Ringoes winery Old York Cellars will open a tasting room in the Quaker Bridge Mall in Lawrence on Jan. 26. This is the winery’s second satellite location after opening a tasting room in the Bridgewater Commons Mall in 2018. Malls continued to approach Old York owner David Wolin, who chose a former Johnny Rocket’s in Quaker Bridge as the winery’s second satellite location. The new location will include a tasting bar, a gift shop, and a lounge where guests can enjoy their wines and light fare. A patio will open in the summer as well. The opening event will occur on Jan. 26 and 27 with live music, wine and food samples, tastings with the winemaker, special giveaways, and a release of their new wine, a 2017 cabernet sauvignon. The first 50 guests will also receive a free gift.